BIG cast members, who are counterintuitively normal-sized, perform an entirely improvised scene in their new space. You can now catch great comedy close to home, as the Baltimore Improv Group (BIG) has joined the Single Carrot Theatre in its space at 2600 N. Howard St.
BIG, a nonprofit improvisational theater group, settled into Remington in October just in time to kick off its 13th season. The group—who formerly performed at the Mercury Theater on N. Charles Street—aims to grow the appreciation of improvisational theater through performance, education, and outreach. They will occupy a small black-box theater, a term that refers to a plain venue with black walls and minimal furniture, across the hall from Single Carrot’s main stage. BIG says its focus on building a bigger entertainment community in Baltimore will make for an exciting collaboration with Single Carrot—and Remington. This season’s BIG shows currently run Thursday through Sunday evenings, with most tickets $5. Performances feature a variety of improv styles and formats from BIG’s eight mainstage troupes and dozens of special projects. 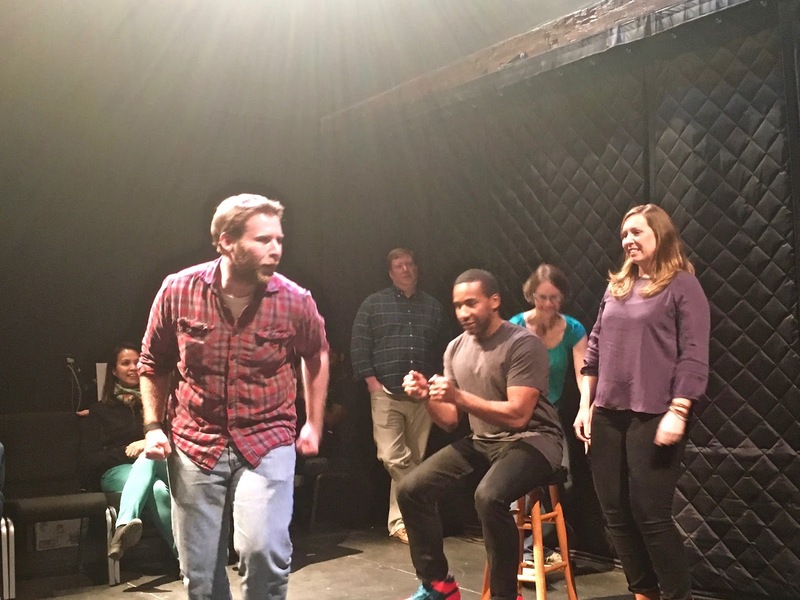 They also highlight local independent groups and host special nights to showcase Baltimore-area college improvisers. Fridays at 7 pm, you can see BIG’s newest show, a special Happy Hour spot with the group’s longest-running troupe, Plan B. They play games in the style of the TV show “Whose Line Is It Anyway?” focused on surprising scenarios and bold characters—and often ask the audience to join the fun onstage. The shows are only one part of BIG’s operation. The bulk of the group’s income comes from a range of classes, workshops, and corporate training for beginner and advanced students. Students learn improvisational comedy for its own merits but also as a way to build confidence, public speaking skills, quick thinking, and teamwork. Tickets for BIG’s Happy Hour show and all Friday, Saturday, and Sunday performances are now $5. For BIG’s full schedule and tickets, visit bigimprov.org. Watch for your November print edition Newsletter for a free ticket to a BIG show!